OTTAWA - The federal government is bringing in new rules to monitor people who may be hiding property offshore. Revenue Minister Gail Shea says a tougher foreign income verification statement will help fight tax cheating. Starting with the 2013 taxation year, Canadians who hold foreign property worth $100,000 or more will be required to provide additional, detailed information to the Canada Revenue Agency. Holders of foreign properties will have to provide the name of the institution that controls the overseas funds, the country to which the property relates and the income generated from the property. The revenue agency will use the new information to ensure compliance with tax laws. Shea says the information will help the taxman track cheaters. "Our government is committed to combating tax evasion and getting tough on tax cheats," she said. The Certified General Accountants Association of Canada welcomed Shea's announcement. 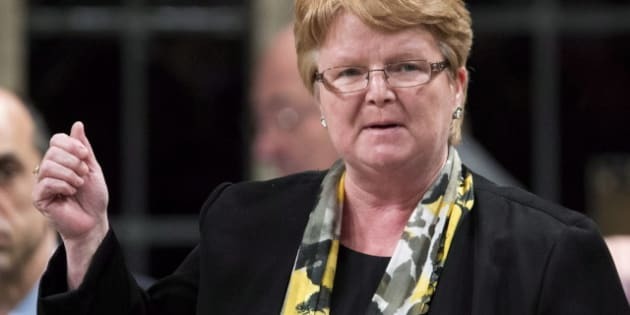 "We are pleased to see the government taking action on this important issue," said Carole Presseault, the association's vice-president of government and regulatory affairs. "Increased reporting requirements of large offshore assets will help to ensure that all Canadians are operating on a level playing field when it comes to their taxes."